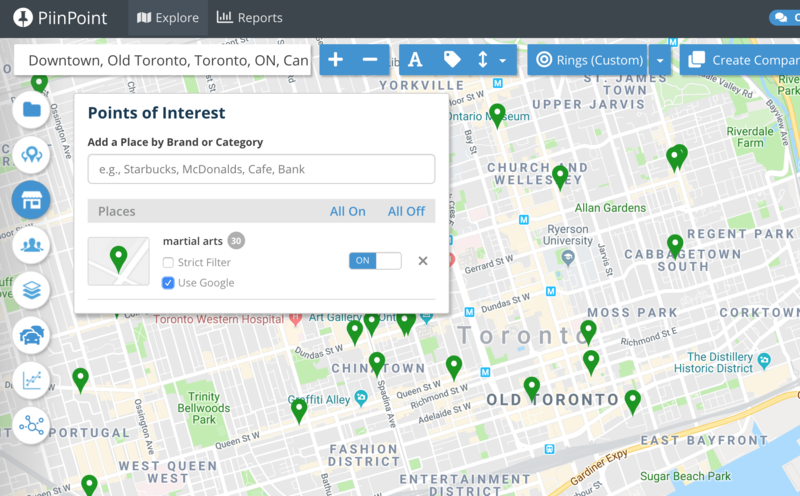 Our Points of Interest feature just got a significant boost, with the option to include Google search results. While our current third-party partner Infogroup provides a great breadth of POI categories, there is sometimes a category that is not included in our dataset. Consider this 2-Step example. You are looking for a location to open a karate studio in downtown Toronto and want to know who your competitors are. In the POI panel, search for "martial arts". You will notice that it does not come up in the list of suggested categories. 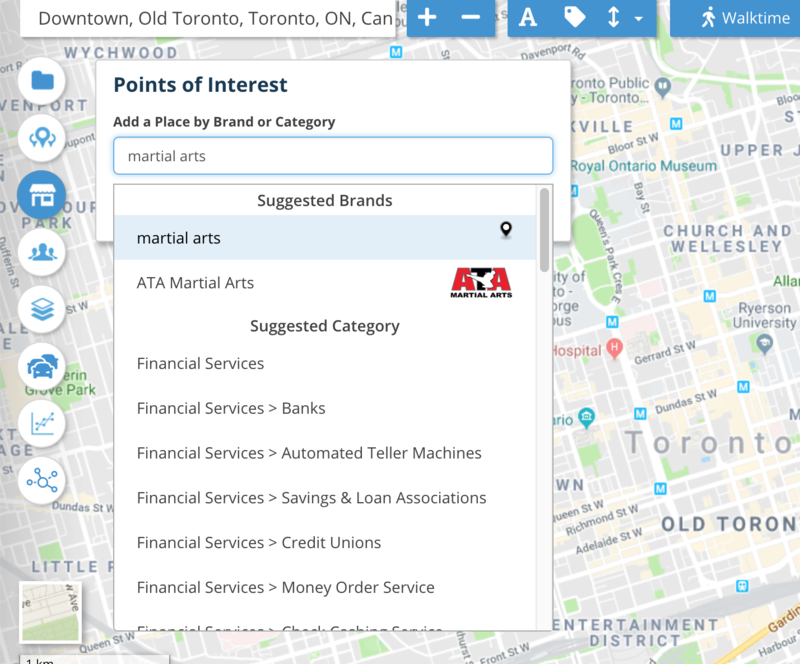 Select your keyword "martial arts" as it appears in the Suggested Brands section, and check the box labelled "Use Google". The POIs that populate on the map are the top results from Google related to your keyword search. 🎈 Congratulations! 🎈You've just said goodbye to POI category limitations thanks to the power of Google search results. Have a question about Google POIs or would like to see them activated on your account? Don't hesitate to contact your Customer Success Manager in the app or email support@piinpoint.com.